Kitchen sink sprayers are a convenient tool to rinse dishes and wash your fresh fruits and vegetables. 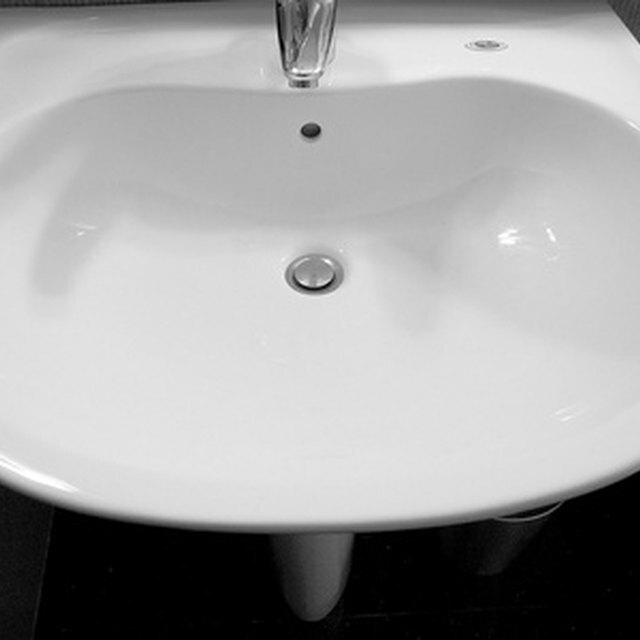 Sink sprayers will wear out over time, especially around the handle of the sprayer. You should replace the kitchen sink sprayer when you start noticing leaks. You will need to remove the existing sink sprayer before installing the new one. The best way to remove the sprayer is to take the sprayer head off the hose and then remove the hose from the faucet. Go under the kitchen sink and turn off the two water supply valves to the kitchen faucet. There will be a shutoff valve on each water line going to the faucet. Turn the valves clockwise to shut off the water supply. Turn on the hot and cold water faucet handles on the sink. This will allow any residual water to drain from the line. Press the sink sprayer as well to remove residual water. Turn off the sink faucet handles. Pull the sprayer head up and grab the hose with one hand. Twist the sprayer head counterclockwise to unthread the head from the sprayer hose. Allow the hose to fall through the sprayer holder in the sink, down to the cabinet below. Locate the sprayer hose connection to the faucet under the sink. The hose will connect toward the middle of the faucet assembly. Use an open-end wrench to loosen the hose fitting from the faucet. Unthread the fitting and remove the hose from the faucet and pull the hose out of the cabinet. You are now ready to install the new sprayer.